As Angus and Steers were in the twilight of their lives, Nicole Eisenman was just emerging from art school. It was the groundbreaking work of artists like Eisenman who spearheaded a return to figurative painting in the current decade. 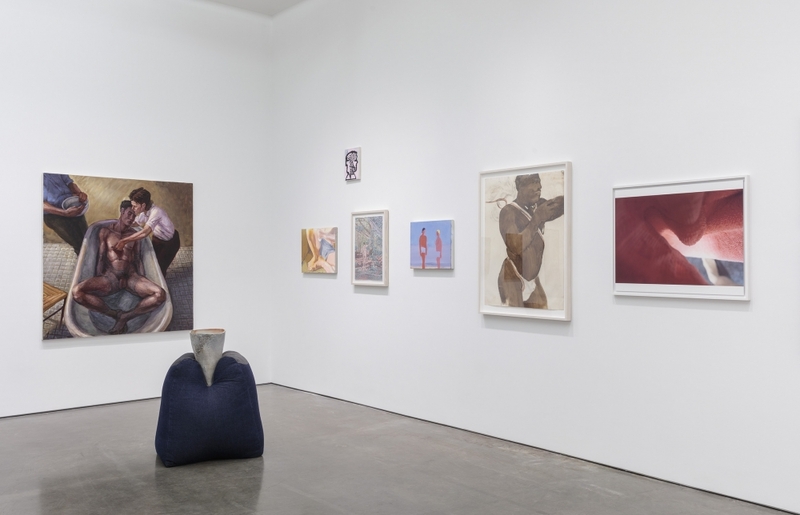 Her explicit images depicting figures of indeterminate gender-engaged in emotional and sexual relationships, as in Lindsay's, 2016, on view in the show, paved the way for other young contemporary painters. It is on this trajectory that we locate the work of artists like Katherine Bradford, TM Davy, Louis Fratino, Samantha Nye, and Michael Stamm.